Your Annual Notice of Change-Don’t throw it away! If you are on a Medicare Advantage Plan or a Medicare Prescription Drug Plan, you receive an Annual Notice of Change (ANOC) every year around the end of September. This notice, which typically looks either like a book or a brochure, lets you know all of the changes your plan is making for the upcoming year. For Prescription Drug Plans (PDP) the changes are typically formulary changes, tier level drug changes, or preferred and standard pharmacy changes. Deductibles and co-pays can also change. But what you really want to keep your eyes open for are (if you have one) a Medicare Advantage Plan's Annual Notice of Change. Why? What is so important about the Medicare Advantage Annual Notice of Change? Some people who have a Medicare Advantage Plan can benefit by changing to a Medicare Supplement Plan. Usually this is a situation where the beneficiary needs more choices in providers (ie doctors or other care professionals) than their Medicare Advantage (MAPD) Plan allows. MAPD plans can save you a lot of money in monthly premiums if you are healthy, and live in an area where you have robust networks, but what if that is not the case? Medicare Supplement Plans have NO NETWORKS. What that means is that as long as your provider accepts Medicare Part B as Primary Insurance, your Supplement Plan will be accepted as well. So what does this have to do with the Annual Notice of Change? The Annual Notice of Change tells you what changes your current plan will be making for the following calendar year. California has a rule that if physician or hospital co-pays go up by 15% or more, or if benefits decrease, then you have a guaranteed issue situation with that insurance company if they offer Medicare Supplement Insurance Plans (Mediap) in California. If they don’t offer Medigap plans in California, then you can purchase a Medigap from ANY carrier that does Medigap business in California, and you don’t have to answer any medical questions. This is important, because unlike MAPD plans, which get a flat monthly fee for every person they enroll, Medicare Supplement Plans do not. Medicare Supplement Plans are able to exclude people from getting insurance based on their medical history. That is, unless you have a guaranteed issue situation. With your Annual Notice of Change, you can prove the 15% increase, or the decrease in benefits (if the company has increased co-pays or decreased benefits) and get the Medicare Supplement Plan. What if you have thrown the Annual Notice of Change away? Many times you can login to your insurance company's website and search for it. Once you find it you can download a copy of it. Because the rules are very specific, and a lot can go wrong when making the change, we recommend that you work with someone who has experience in this area. We also recommend that you do not wait until the “last minute”. 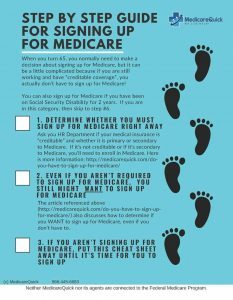 Make sure that your Medigap plan has been ISSUED before canceling your Medicare Advantage Plan.